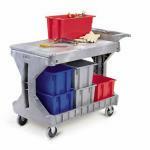 Utility Carts of all types and More! We have the Selections! 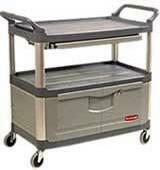 transporting supplies in an office or hospital environment where aesthetics and cleanliness play a major role in cart selection. Selections from Akro-mils, Rubbermaid, Nexel, Lakeside, and others are highlighted in our selections.